Sandwich-lovers have created thousands of yummy combinations since the Fourth Earl of Sandwich invented his culinary namesake in the 18th century. But often, it's all too easy to fall victim to the same old thing-wich when chow time rolls around. 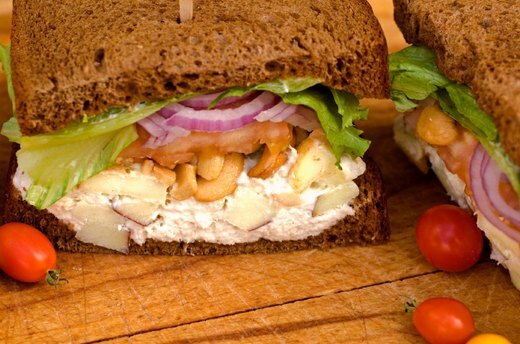 Consider giving your taste buds a surprise by switching up your sandwich routine with some novel ideas. The key is to use fresh ingredients and be open to experimentation, chefs say. 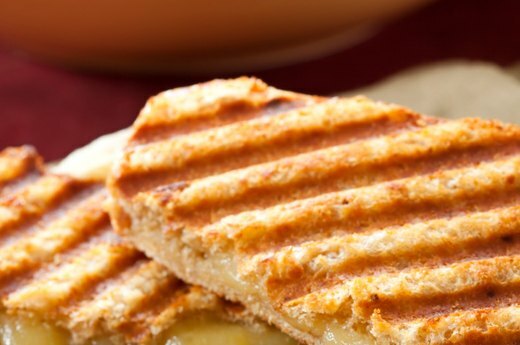 The 'wichcraft chain of restaurants in New York City serves a roasted pumpkin, mozzarella and hazelnut brown butter sandwich that is a great take on grilled cheese, said chef Mike Barbera. Roast pumpkin until soft, then season and mash in a bowl. Toast hazelnuts with anise seeds and sage; grind the nuts into the texture of chunky peanut butter. Take a slice from a mozzarella ball and place it on Italian country bread, spread on hazelnut butter and pumpkin. Top with bread and put in a sandwich press until golden and melted. Caprial Pence, a chef and cookbook author, said she loves sandwiches that offer up a new way of experiencing a classic. She recently ate an Italian sub garnished with olive tapenade, thinly sliced pickled peppers and shredded Napa cabbage. "The salt and spice of the salami and the Napa instead of the typical iceberg made it still crispy and a little different," Pence said. Spam gets a bad rap, but it's common fare in many places, commented Jon Chonko, the author of the photography book "Scanwiches." 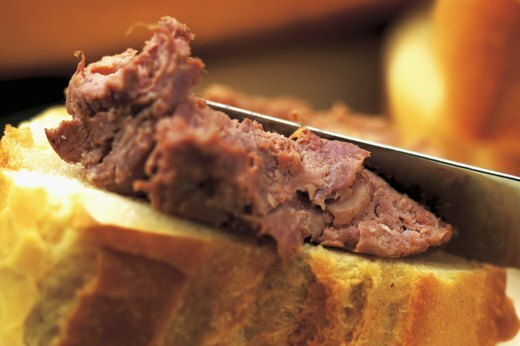 The meat caramelizes very well when browned and makes for a nice substitute in a ham and cheese sandwich. Chonko said he also likes to create a Hawaiian sandwich with a slice of browned spam, grilled pineapple and barbecue sauce on French bread. "I like the underdogs," Chonko said of sandwich ingredients. "I'm a huge fan of spam and bologna ... they've been so maligned and misrepresented." Swap out traditional items for an original sandwich. At 'wichcraft,' tuna sandwiches are made without mayonnaise, Barbera said. Instead, he seasons the tuna with red wine vinegar, olive oil, capers, oregano, salt and pepper, and red onions. "It makes it feel a little more healthy, and you can taste the tuna when it's not masked by mayonnaise," Barbara said. Instead of lettuce and onion, you can also add some chopped green olives; lemon confit, which can be purchased at gourmet stores; and some sliced fennel dressed in a lemon vinaigrette. 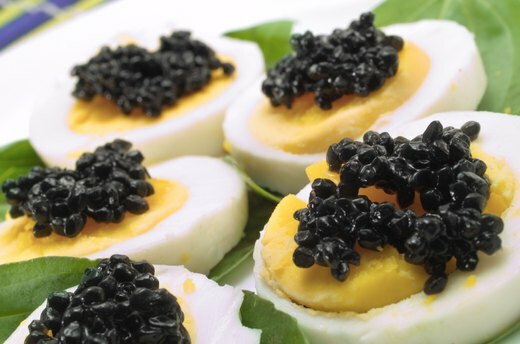 When sandwich blogger Bill Keaggy makes an egg salad sandwich, he adds a little black caviar to the mix to create an extra bit of saltiness. 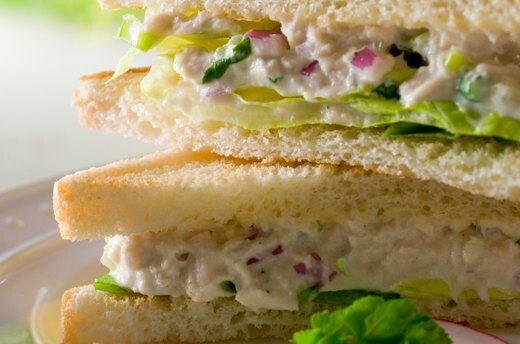 With some iceberg lettuce on bread, it gives a new flavor to the traditional sandwich. "You don't have to buy expensive caviar; it can be any kind, since it's salty," Keaggy said. Chopped liver is an ingredient that can be hard to eat on its own for many people, Chonko said. But spread in a sandwich, it can add a delicious new flavor. Chonko likes it spread thick with wheat mustard on a turkey or pastrami sandwich. "Chopped liver is usually treated as a centerpiece, such as pate with crackers, but it actually works better as a condiment," Chonko said. "It's not quite so intense, and it helps out other foods and makes sandwiches better." 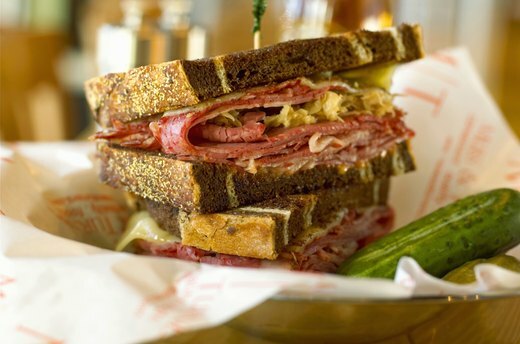 The flavor profile for a Reuben sandwich is a juicy mix of acidity and saltiness. Barbera said you can replace any of the traditional ingredients with something else that matches that profile. Instead of sauerkraut, you could marinate your own cabbage or use other pickled items, such as Korean kimchi, he suggested. 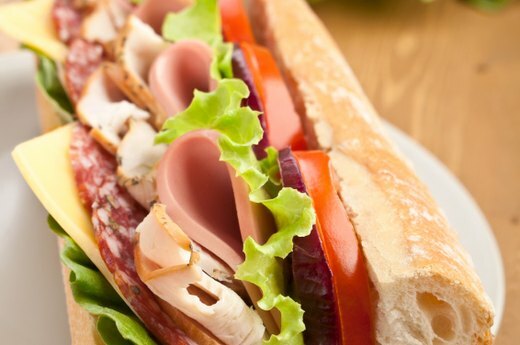 Always remember that bread isn't just a vehicle to deliver a sandwich; it's also an important ingredient. 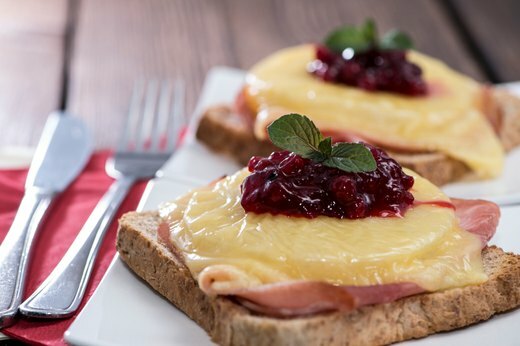 You can change up a traditional ham and cheese sandwich by using French toast instead of regular bread, Keaggy suggested. Another way to dress up a ham and cheese is with homemade aioli, or a pureed garlic mayonnaise. Aioli adds moisture and seasoning to a sandwich. "You can put whatever aroma you want in there: garlic or different herbs like rosemary," Barbera said. Consider replacing the main ingredient. 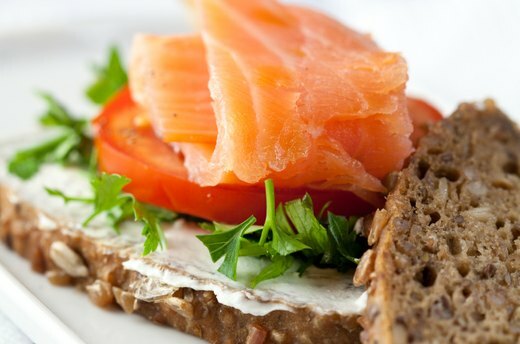 Try smoked salmon with mustard instead of ham or turkey in a club sandwich. Or use beef tongue instead of roast beef. Instead of lettuce, try cooked mustard greens or fresh sprouts. Consider also how sandwiches were once made -- with lots of butter. "When I was reading 'James Beard's American Cookery' one thing that struck me was that he put butter on everything instead of mayo. I started doing that and it totally changes certain types of sandwiches," Chonko said. 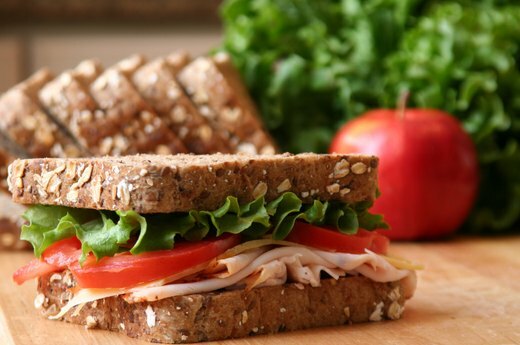 Fruits, especially apples and pears, can be a great addition to savory sandwiches, Chonko said. He said he often uses thinly sliced apples with turkey or roast beef. "It gives great flavor and a crunch," Chonko said. Consider also cooked fruit, such as applesauce in a roast pork sandwich, he added. 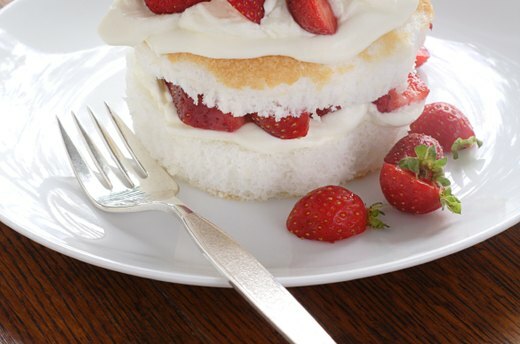 Sandwich blogger Keaggy credits his wife, Diane, for inventing an angel food cake sandwich. Take two pieces of cake, spread on sweetened cream cheese and add bananas and strawberries. "It's a handheld cake with fruit," Keaggy said.